With the help of our dexterous team of professionals, we have been able to manufacture, supply and export premium quality Refractory Machine. Clients can avail these machines from us in standard as well as customized sizes and specifications as suited to their needs. Moreover, these machines are widely used in various industrial sectors and are fabricated by the latest machines at our sound manufacturing units. We offer these machines to the customers at market-leading prices. We are counted among the most distinguished organizations that are engaged in manufacturing, supplying and exporting a qualitative range of Double Shaft U Mixture. 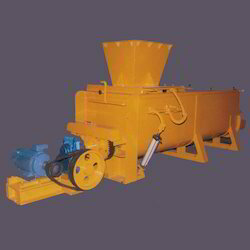 This machine is widely used for thorough mixing the clay before passing the same to the de airing pug mill for pugging and extruding. 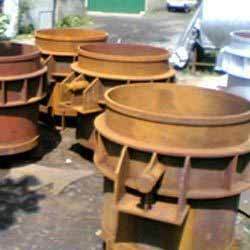 We are reckoned as one of the leading manufacturers and suppliers of a broad array of Steel Plant Ladle that is used in foundries for holding and pouring molten metals. The construction is of Heavy Duty and the outer shape of the Ladle is that of a frustum of a cane. The inner surface is lined with refractory ensuring high durability and optimum performance. We offer these products at affordable prices. Looking for Refractory Machine ?